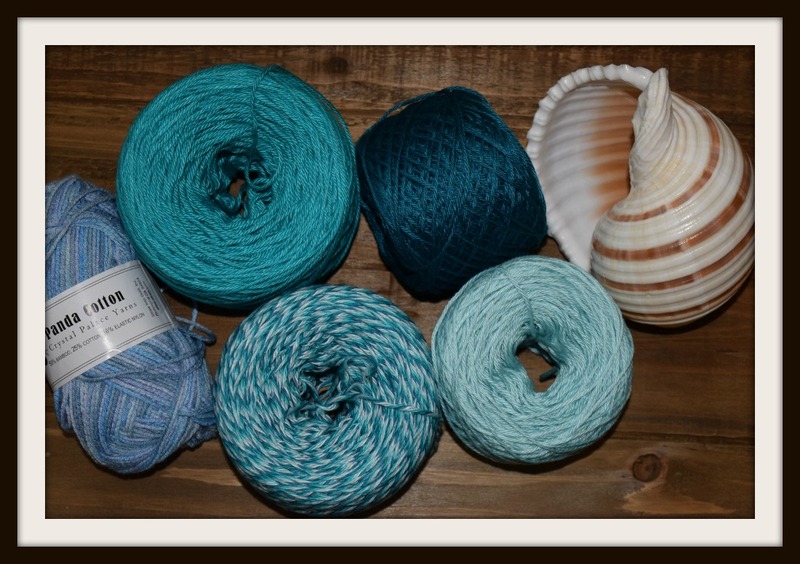 Excited to use them to knit samples for the new spa cloth I’m designing. This cloth is constructed in much the same way as the Fairy Godmother’s Spa Cloth, knit sideways and featuring a vintage lace stitch. This one is loosely related to a beach/ocean theme and I’m designing it for the upcoming summer mini swap in my Ravelry group. Be on the lookout for more photos soon! 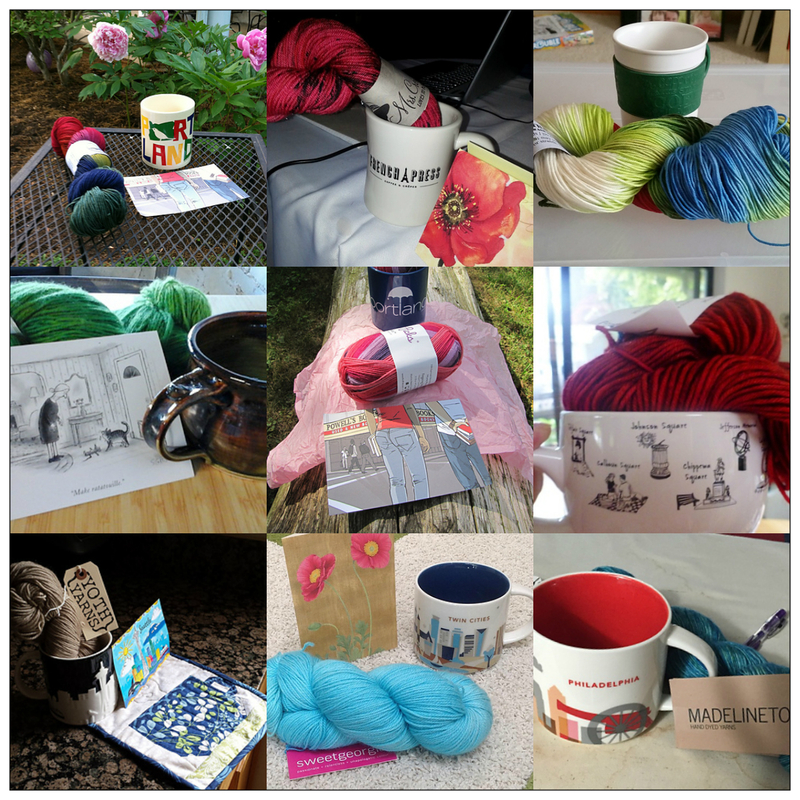 Love that tealish yarn cake and what’s that tonal/blue and white one? The solid colors are Cascade Ultra Pima and Ultra Pima Fine.The blue and white one is Cascade Ultra Pima Quatro.